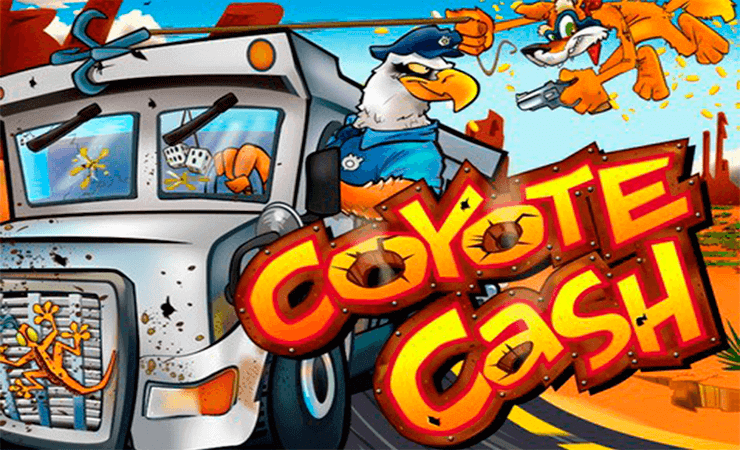 Coyote Cash casino slot game by RTG online slots is a fun game for starters, it makes you remember the good old days of Road Runner cartoon show. (You know, the “meep meep” show.) The graphical quality of the game is satisfying and the art style is cartoony; add a progressive jackpot to the list and we are sold. Not a big one to be honest, (it was 5.601 USD while we were writing this review) but a jackpot is a jackpot. Coyote Cash online slot game by RTG has 5 reels, 3 slots, 25 pay lines and a lot of childhood memories in it. The game has 13 symbols in total and six of them are low-valued; they are shown with numbers and letters. The rest consists of theme-related pictures, such as a coyote, loot bags, police hawks, snakes and armored vehicles. The high-valued symbols have a payout range of 15 to 5.000 coins, but if you use the wild symbol to complete a winning combination, their payouts get doubled. For example, the police hawk symbol pays 5.000 coins in normal gameplay, but if it lands on reels with the wild symbol, the payout becomes 10.000 coins. Speaking of the wild symbol, it is shown with the picture of a coyote. Wild substitutes all other symbols in the game and pays 10.000 coins too. Lastly, we have the scatter symbol, which is shown with a picture of a loot bag. 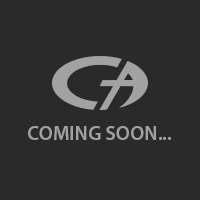 Landing three scatter symbols anywhere on reels will award 20 free spins. During this bonus round, the multiplier levels raise up to x3, x4 or x5, depending on the number of scatter symbols. The progressive jackpot can be won anytime during the end of any spin and it is completely random. The bet per spin values of the game change between 0.25 and 6.25 coins. The maximum bet value is als0 6.25 coins, which makes the game a medium-variance slot. If you play at Casino Avenue, you can try the free slots no download version of the game before risking real money. Our conclusion is that if you like to play casino slots online and a fan of cartoons, you will love Coyote Cash – we guarantee it.